The “#MeToo” movement has put workplace sexual harassment in the spotlight, with numerous high profile men being accused of using their positions to coerce co-workers or colleagues. And while certainly not as intense, scrutiny has been directed at their organizations as well, raising questions about whether or not they created an environment where such actions were tolerated or even condoned. It doesn’t have to be this way. According to employment attorney Kathleen Connelly of the law firm Lindabury, McCormick, Estabrook & Cooper, any employer can inoculate themselves from a charge of workplace sexual harassment by doing three simple things. 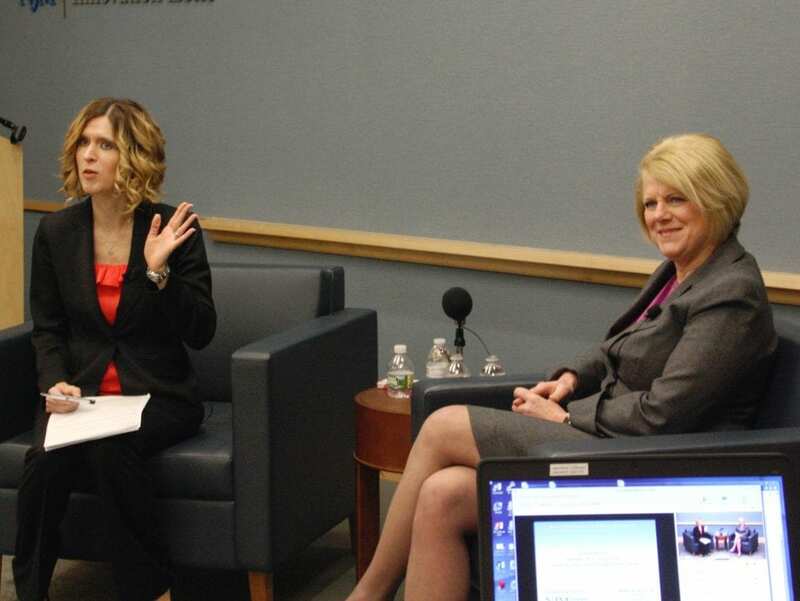 She joined NJBIA’s Stefanie Riehl yesterday for a live webinar on what businesses can do about sexual harassment in the workplace. Have a written anti-harassment policy in place that makes clear what the complaint procedure is and distribute it to every employee. “Most employers have that one,” Connelly said. Conduct prompt investigations of all complaints brought to your attention, and if a violation is found, take appropriate remedial action against the offender. The “safe harbor” is also available to protect employers in most situations where the employee fails to bring a workplace harassment complaint to employer’s attention for resolution before initiating an action in the courts. If an employer has a written policy with a clear complaint procedure and has trained employees on sexual harassment and its complaint procedure, the employer may avoid liability because the employee did not do as instructed and accord the employer an initial opportunity to investigate and resolve the complaint internally. If, however, the employer doesn’t have a clear anti-harassment policy or didn’t make sure people knew about it, an employee could credibly claim that the employer’s inaction facilitated an environment where inappropriate sexual behavior would occur. Although the steps are simple, they are not easy: Conducting training and drafting policies takes time and money. But as Connelly says, “it’s pennies” as compared to the economic costs and the time and effort an employer will expend defending a lawsuit. And don’t forget the cost of defending yourself in the court of public opinion. View the webinar in its entirety.